Pet ownership can be a joyful, rewarding experience. But it isn’t exactly cheap. If you’re thinking of adding a pet to your life, here are some potential costs to keep in mind along with a few tips on budgeting for and minimizing those expenses. If you’ve got your heart set on a particular breed of fluffy friend, a breeder may seem like the logical choice. However, your first stop should always be your local shelter. Purebred pets are put up for adoption all the time, so you might find the exact breed you want for way less than a breeder would charge, or you might find a mutt that melts your heart, no pedigree required (and mutts tend to have fewer health problems to boot, saving you money on medical costs too). Shelters often include the first round of vaccinations, and sometimes even microchipping and neutering/spaying as part of their pet adoption fee. If your shelter doesn’t offer all of these services, shop around for a vet because expenses for these procedures can vary wildly. For dogs, it might be as simple as a food and water dish, tennis ball and a leash and collar; or as complicated as a carrier, crate, doggy bed, and mountains of toys to destroy. Puppies will also require puppy pads until they’re housebroken. For cats, add in budget for a scratching post, unless you’re looking for an excuse to replace your sofa. Litter boxes can be as cheap as $20 for a simple, uncovered box or as much as $300 for a fancy, self-cleaning one. However, for most cat owners a simple covered box with a cat flap for around $40 will be the best fit and budgeting value. It can be tricky to make sure your pet is getting all the vitamins and nutrients they need from their diet without breaking the bank. Some cheaper brands are made with lots of filler, while some premium brands can easily be double the cost. 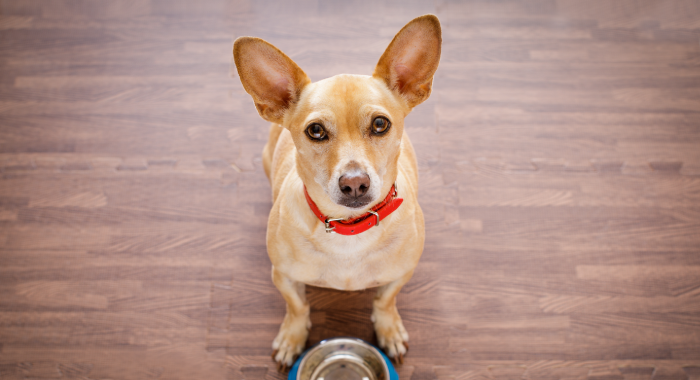 Add on to that the dietary requirements for active/inactive, older/younger/ and indoor/outdoor pets, and that some pets can be surprisingly picky eaters, and finding the right food can be a headache. Luckily your vet will be able to help you figure out what’s worth buying for your pet’s specific needs, and buying in bulk can help cut down expenses significantly. Younger pets should go to the vet annually, but older pets or ones with recurring conditions might require more frequent care. Aside from checking for any issues, this is also the time to get meds and yearly procedures done. Depending on your pet’s specific needs, these yearly costs can vary widely, but it’s always best to err on the side of caution when it comes to budgeting for preventative measures for your pet’s health. If your yard isn’t fenced and you want Fido to be able to run, building a dog run or fence or purchasing an invisible fence could add up to $1,000 in additional budget. Indoor cats and dogs may need monthly trimmings. To save money, consider buying a nail trimmer and doing it yourself. Be careful, as your pet’s nails are delicate, and they probably won’t be a willing participant! And depending on the breed of dog or cat you own, grooming can be a relatively minor cost or a budget-breaking one. Investing in a brush and spending time brushing your pet’s hair daily or giving them a bath at home can save some trips to the groomer. Brushing your pet’s hair daily and trimming their nails at home can save $50 per month. Some dogs may not need a trainer, but rehomed dogs, puppies and pets with behavioral issues can seriously benefit. If you decide to get insurance it’s better to start paying for it when your pet is young and healthy, with no pre-existing conditions so prices will be low. Especially as pets age, medical issues are inevitable and can be incredibly costly, even with insurance. Some pet owners that travel often or can’t take their pets on a trip will utilize a pet boarding or daycare facility to watch their furry friends. Depending on the quality of the facility and the services it offers, costs range from about $15-$35 per day. Some also require more exercise than others, so pet owners opt to send their dog to daycare or will have a dog walker. Buying in bulk, knowing which items are necessities and which aren’t, and figuring out which products should be name-brand and which can be generic are all great ways to keep pet costs under budget. Plus many pet-friendly companies such as online retailer, Chewy offer discounts when you plan your portions ahead and sign-up for auto-ship. Or companies such as Pet Smart and Petco offer reward programs that can save you money when you faithfully shop. But the most important factor is being prepared. Taking preventative health measures for your pet will save you lots of money later on, and budgeting your expenses ahead of time by saving for planned and unplanned expenses separately (for instance, making regular deposits into an account for your regular monthly pet budget, as well as one only for pet emergencies) will keep both your wallet and your pet well fed and happy.